“We were basically marking time, draining ourselves of cash. “I hate to think of how many hours I’ve wasted on the AEMO website with tools to monitor spot pricing, to assess the implications of power, the trends of power and the future costs of power. PGS processed domestic, low-grade waste and turned it into plastic granules, to be converted back into other industrial products like irrigation piping and flower pots. 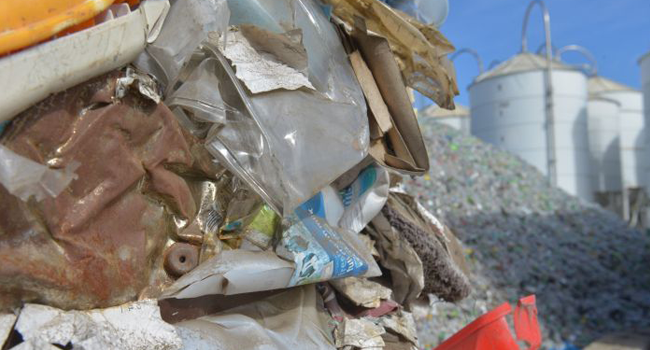 Mr Scherer said his facility was the only recycling service of its kind left in South Australia. Den Tucker is the managing director of DM Plastics and Steel, which had been using Mr Scherer’s plastics recycling services. Mr Tucker said he had also been trying to cope with the pressure of soaring power bills. “The price of our power has gone through similar numbers and we employ 45 people,” he said. “There is no solution being put forward at the present time. SA Environment Minister Ian Hunter said it was disappointing the facility was shutting down, but he said the pain of high electricity prices was being felt across the country. Mr Hunter said help was available through the State Government’s energy efficiency programs. “Green Industries and Zero Waste have quite a bit of expertise in this area [and] they’ve worked with other companies and other industry sectors,” he said. Mr Hunter said any recycled plastic due to be sent to the facility would be sent elsewhere, most likely to interstate processing plants. “Having high power prices … is a reality,” he said. “That’s why the Government has introduced its state plan for energy in South Australia.